OCTUM - we are allways looking for new solutions! The development of our company is focused on growth. We have summarised some of the latest developments that support this on this page. Drop in here from time to time to make sure that you are always up to date with what's going on. 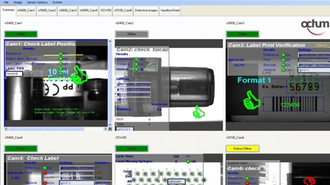 Control 2012 – 3D inspection the main customer interest! 3D surface defect inspection on shiny or black coated metallic parts! Octum - Top Credit Rating in 2012! 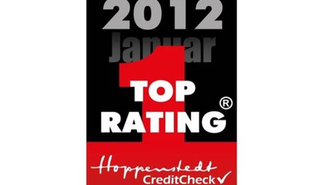 The independent rating agency Hoppenstedt distinguished our company with a Top Credit Rating. Octum is hereby one of the 3.3% German companies obtaining a credit rating of 1. 2011 - again a best fiscal year in Octum`s company development! Together we will find also for your specific request the suitable economic, functional and usable solution. Experience and trust form a solid foundation for success. 2017 - a new record year for Octum!. 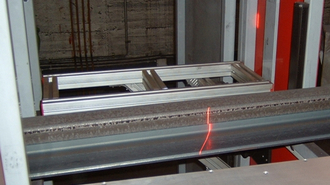 Barcode reading system as part of the Quality Tracking solution for coils. Automatic optical final inspection of compressor wheels so that the turbo charger works perfectly. Take a deep look into the cup – to make sure everything fits! 2014 - continued solid company development due to strong growth rates! 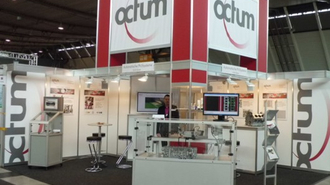 Successful Octum Trade Fairs 2014! With the Fair Motek in Stuttgart, Octum concluded a successful Trade Fair year 2014. 2013 - Focus on technology development and increase of resources! FachPack and Motek 2013 - successful autumn trade fairs! Plug gap inspection - compact design, fast, reliable and easy to integrate! 2012 - Another year of solid growth of the company! Octum Technology and User day 2011 at Audi Forum Neckarsulm. Audi Forum Neckarsulm. The overall feedback to this event in such a representative environment was extremely positive. Defect free vials due to automated inspection of bordercaps! 2010 was Octum`s best fiscal year in the company`s history! Motek and FachPack 2010 – successful autumn trade shows for Octum! Octum offers more customer value due to extended range of services provided! Control 2010 - quality again a top priority for trade fair visitors! Octum - turnover increase in fiscal year 2009! Wrong filling? Not with 3D package inspection from Octum! Inauguration celebration of the new building, vernissage and open house! 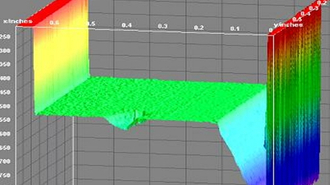 Combination of 2D and 3D surface defect inspection reduces false reject rate! Distributed inspection - everything under control at a glance with OCTUMISEr!